Myanh is a Registered Dental Hygienist. She graduated from Ferris State University with an Associate Degree in Applied Science in 2004. She was born in Vietnam and moved to the United States in 1994. 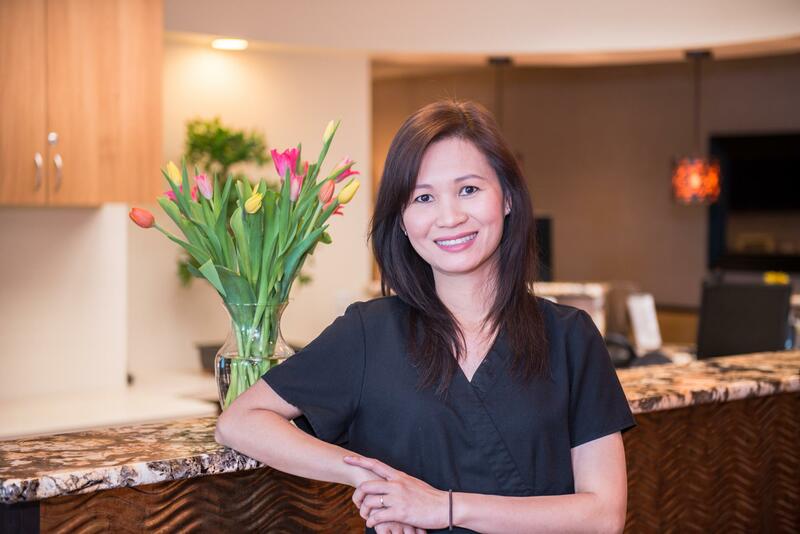 Myanh has been practicing dental hygiene since college graduation, and has been with Farhoumand Dental since 2009. She enjoys reading, drawing, gardening, and spending time with her husband and two little children. Myanh believes in patient education and takes her time to make sure her patients understand their dental needs. She has a wonderful presence about her and patients are happy to come for their routine check ups. Her patients always comment on her gentleness and sweetness that is innate in her. Myanh is always making sure she is up to date with new information in dentistry and taking classes to be the best hygienist for her patients. Myanh took the following classes: Invisalign, VELscope, and laser periodontal therapy.